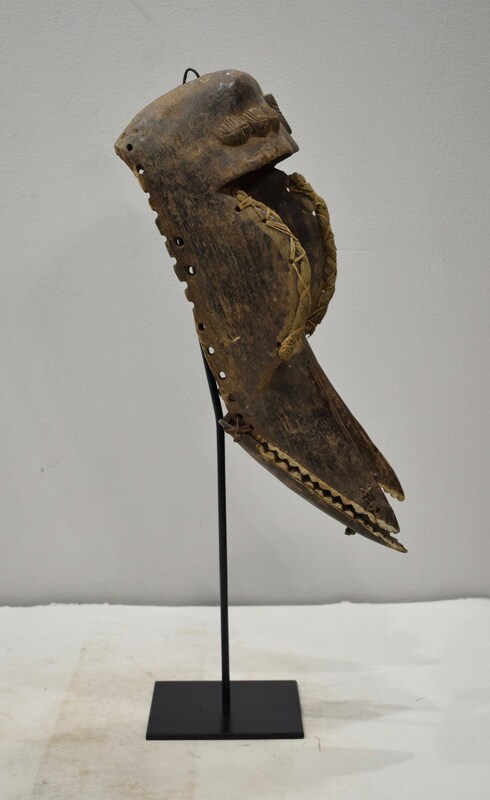 This is a wonderful Mask from the Kono Tribe in Sierra Leone. 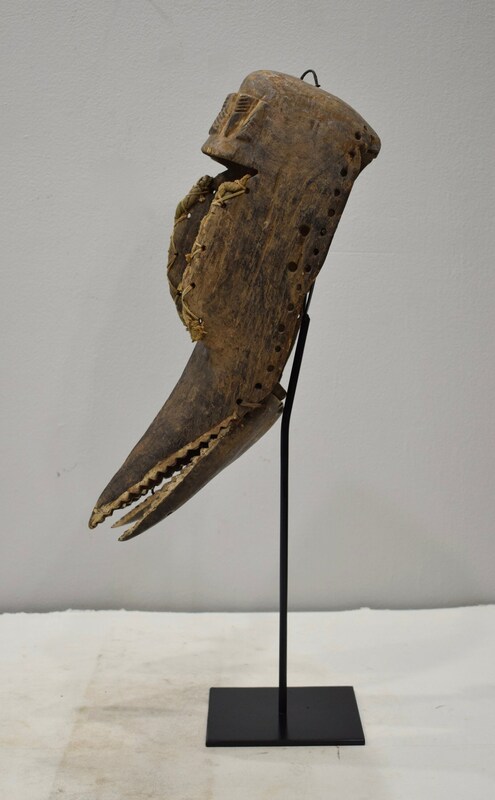 The hinged jaw, a design of Human and Animal, the multi colored face, white and blue, is just a wonderful example of unique Kono artisan craftsmanship. 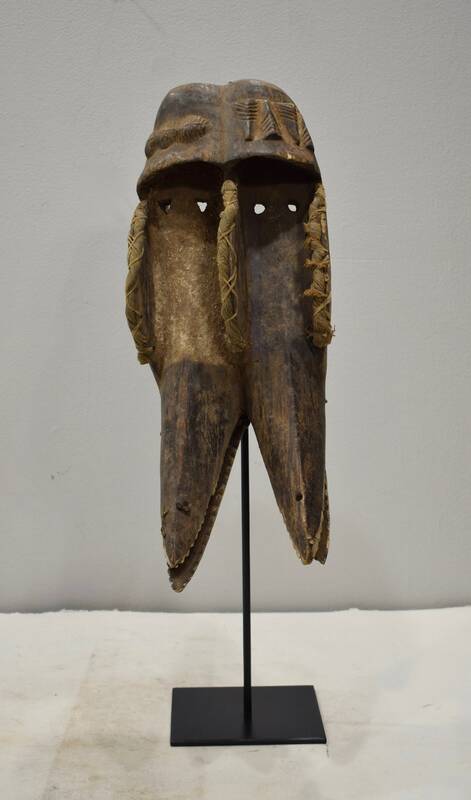 This mask would have been used in a Boys initiation ceremony. The Kono are primarily diamond miners and farmers. The Kono people speak the Kono language as their first language and is the most widely spoken language among the Kono people. Unlike many other Sierra Leone ethnic groups, the Kono people rarely travel outside Eastern Sierra Leone. 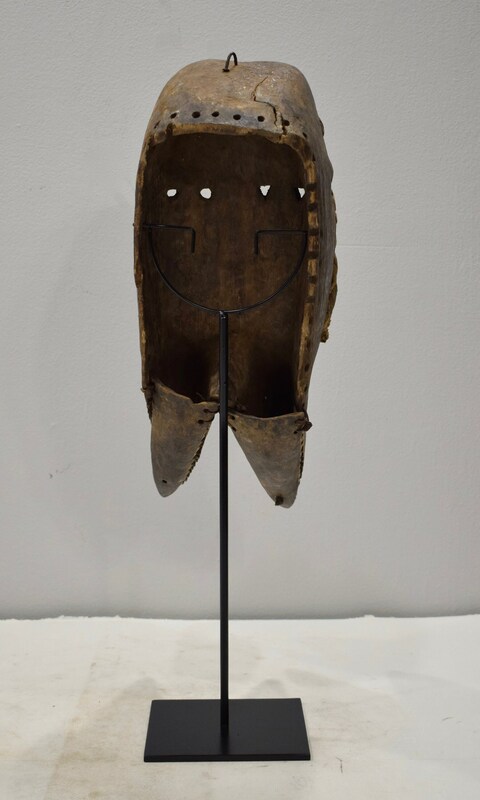 This mask would be a wonderful addition to your home or collection. Mask shows age and normal wear.